- I probably could have made prettier laser/particles, too. 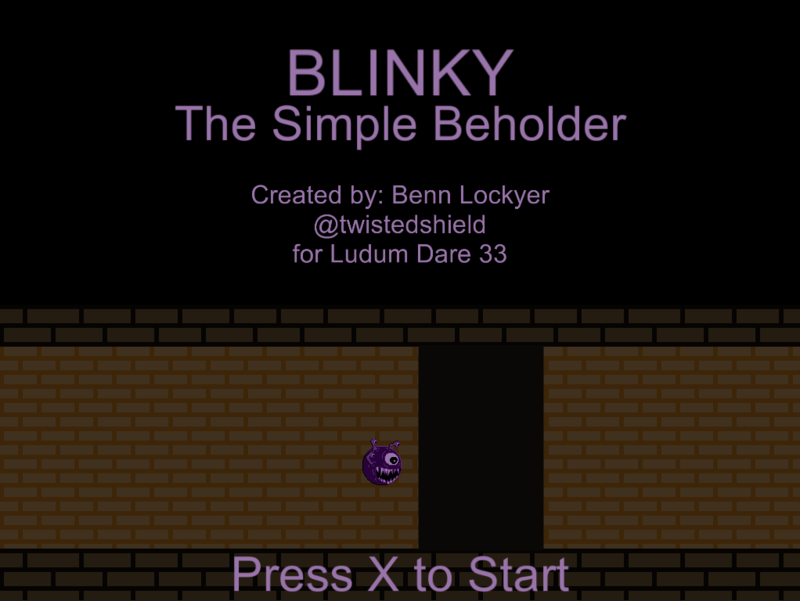 Blinky, The Simple Beholder has been stuck underground guarding his dungeon for too long, and now he just wants to go out and explore the outside world! 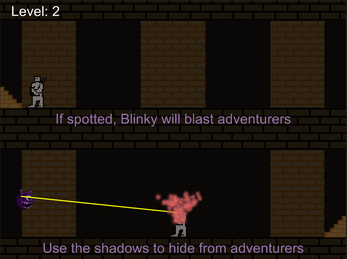 There's only one problem... in order for Blinky to get outside he has to sneak past a hoard of dangerous adventurers! 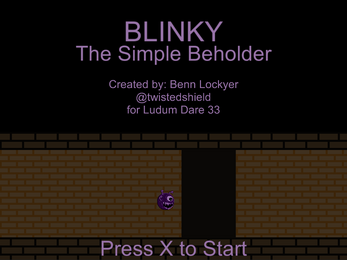 Blink is a strong beholder, so he can blast away the adventurers with his magic eyes! He can't really control his strength though, so every time he uses his magic eyes, they explode! Can you help Blink get outside without blowing up all of his eyes? 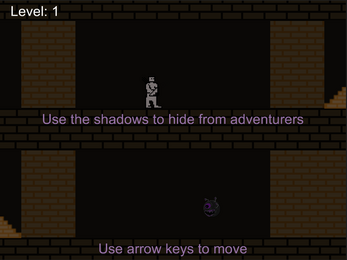 Venture through each level of the dungeon until you reach the outside world! 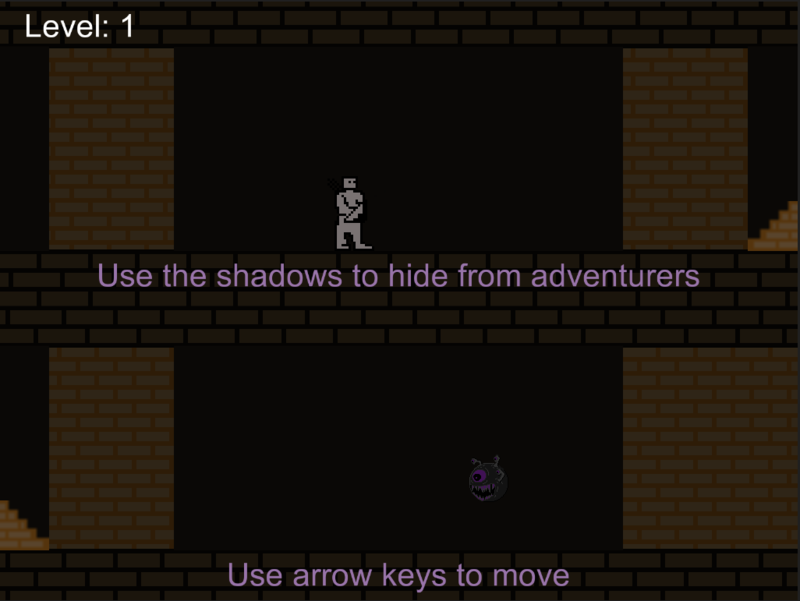 Hide in the shadows to avoid being seen by the adventurers. 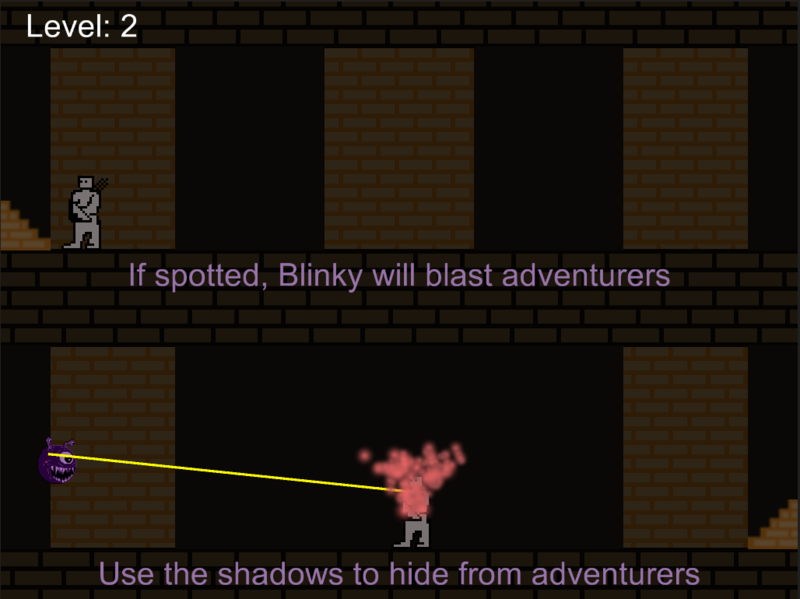 If you get seen, Blink will blast away the adventurers, but lose one of his eyes in the process!